It will be the rain. The earth. The green. The landscape and the character. The effort and the loving care. 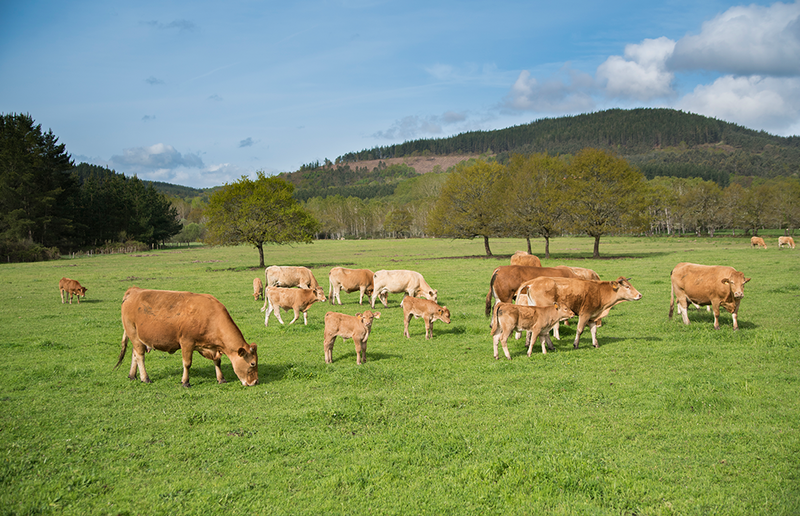 In Galicia the best conditions are met so that our meat is the best in the world. All these special features were already enjoyed by the first peoples that came to this land. Celts, Greeks or Romans, they got to know Galician quality firsthand. The history of this place confirms that it is a unique site where products are generated of the highest quality. More than 3,700 years ago, Galicia already produced the best beef. The Greeks called it Kallaikia, Country of the Mountains. They say that in ancient Rome, when Galicia was called Gallaecia, our meat was one of the most appreciated. Galician meat was exploited and triumphed thousands of kilometers away. The same as now. For all this, the origin of Gallaecia Delicatessen is its greatest guarantee. Our meat bears the quality mark of the land itself. The experience is also an important factor when it comes to treating the product: the way we take care of the animals, the best pastures, we select the best cows and oxen and we serve the product in optimal conditions. Galicia produces the best meat in the world and in Gallaecia Delicatessen we carry the origin with pride.